The beige, rickety doors of the elevators opened and out walked makeup artist and founder of Chimera Lashes, Ingrid Victoria — eyebrows shaven, a long red cape-like sweater moving around her ankles, and no noticeable makeup being worn. My first thought was: She looks familiar. But in the world of social media that we all now reside in, it’s hard to know if you think you know someone based off seeing their photographs or if you actually know someone (like, have physically been in the same space as them). In the case of Ingrid Victoria, it turned out that both were true. As a native New Orleanian, Ingrid Victoria grew up around the revelry that’s ubiquitous during Carnival season — the costumes, the flamboyance, and the personal transformations. But, she took the season’s extravagance to a whole new level when she created Chimera Lashes. 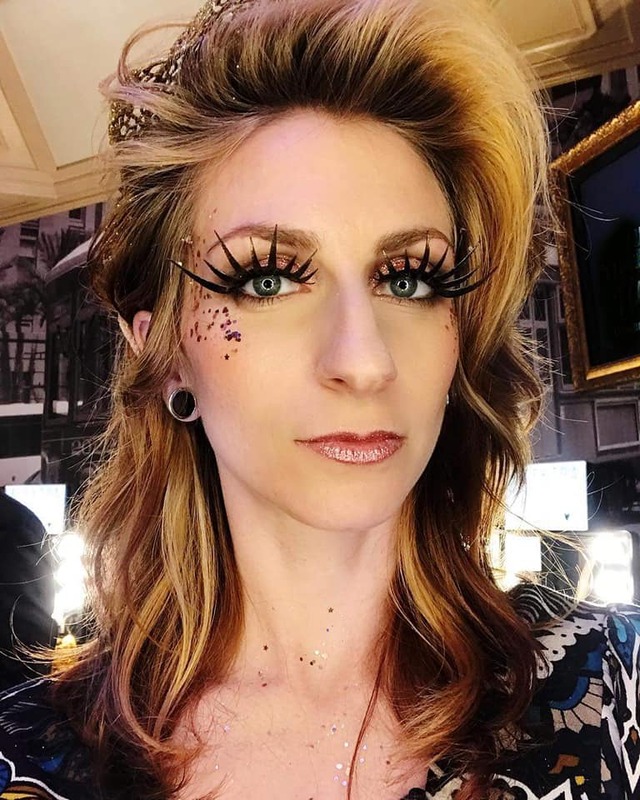 For anyone who has seen Ingrid Victoria’s Instagram and Chimera Lashes’s Instagram, you know that her lashes and makeup push the boundaries of how colorful, how fanciful, and how decadent one’s face can become. “If anyone knows me, they know that I like to push boundaries,” Ingrid says. 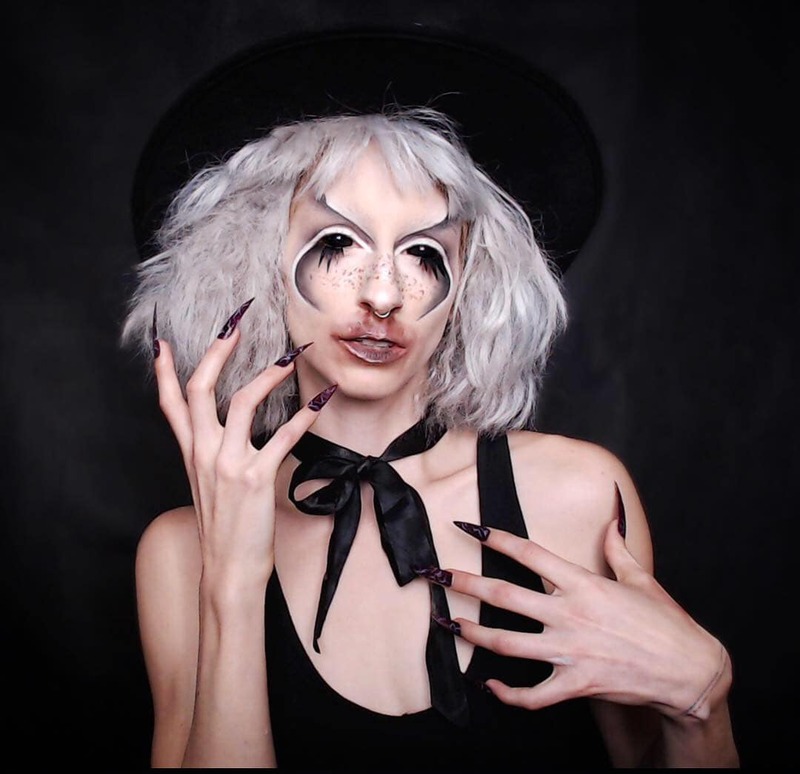 “I like shock value.” From glitter lashes and neon pink UV reactive lashes to fantasy makeup that transforms people into ghouls, elves, and creatures that have no names, Ingrid consistently shocks the eyes (of both the onlookers and the wearers of her lashes) with her designs. And, it all started with some Mardi Gras magic. “I was working on a promo Mardi Gras photo shoot with my friend and headdress maker Caroline Thomas,” Ingrid says, “and I was trying to think how I could balance the weight of what’s on the head along with what’s on the face.” If you’ve ever seen Caroline Thomas’s headdresses — giant king cakes, ice cream cones that make your neck strain just looking at them, and cacophonies of feathers, mirrors, eyeballs, and even alligators — you’d realize that Ingrid was taking on no small task. Yet, she proved to be more than worthy of the challenge. Using card stock as her material, Ingrid whipped up her first pair of eyelashes for that photo shoot in about 15 minutes. Once the lashes were on, the photo shoot commenced, and when the photos hit social media, the reaction was immediate. “That was the perfect day to experiment …When the pictures came out on social media, everyone was commenting on the lashes,” Ingrid says. The notice didn’t stop there. Her lashes started showing up on television shows, on musicians, and on people she’d never met but who fell in love with her designs. And you can see why their infatuation was immediate. Eyelashes that curve, claw, and extend to the hairline; eyelashes that shoot down over the cheekbones while radiating metallic colors — all of these creations are in Ingrid’s creative wheelhouse, and they not only balance whatever headdress one would wear; they augment it. 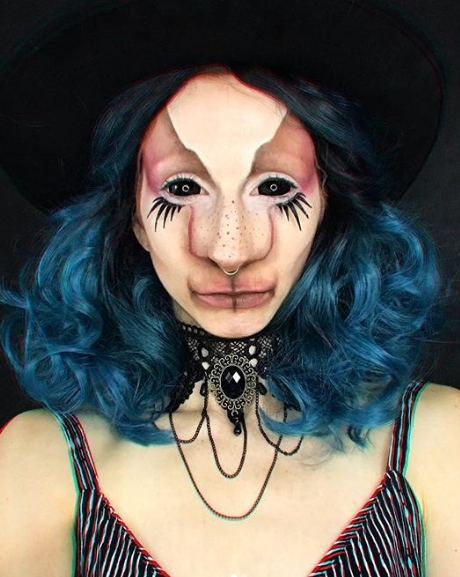 Ingrid has her signature designs, but that doesn’t stop her from experimenting and attempting even more mythological creations with her lashes and makeup. “I’ve been experimenting more with cutting [the lashes] up and stacking them in different ways,” she says, explaining that placement of the lashes can also be adjusted according to imagination. Some people wear the lashes below their eye, they create third eyes with them, and they even fan them over their own eyes to create illusions that defy our understanding of human configuration. “I’ve been getting into illusion work and fantasy makeup,” Ingrid says. She’s working with contouring in a way to changes the shape of eyes, noses, or any particular facial feature. In many ways, people can become whatever they visualize if Ingrid is holding the brush. But she doesn’t reside permanently in the world of illusion. Her interactions with individuals are palpable — from her choice to live in a commune to the role she plays during The Apocalypse Ball. “I’m the person who runs the spanking booth at the ball,” she told me, her eyes lighting up and her smile having a slightly devious tilt to it. And that’s when it hit us. Not only had I purchased several pairs of her lashes after seeing them on social media, but I had also been spanked by her. That’s why she looked so familiar to me. After that connection was made, we decided that she was the Queen of Lashes in every sense of the word. 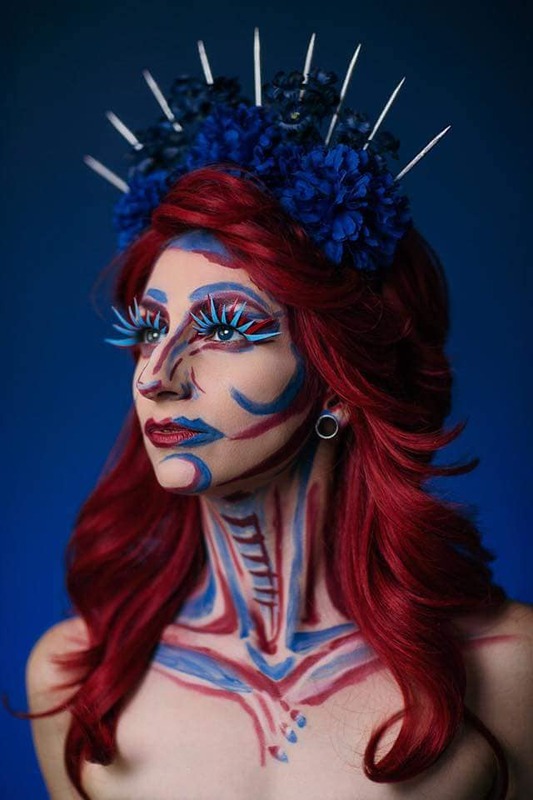 Ingrid Victoria will be hosting a makeup workshop on Saturday, February 16 at the Art Garage (2231 St. Claude) from 12:00-2:00. The class will be focus on how to accentuate one’s facial features using simple embellishments and accessories. For more information about the workshop and to sign-up for the workshop, check out her page here.